At the Advent Event, which is held on the first Sunday of Advent each year, parishioners have an opportunity to shop for gifts which truly benefit others, at the Heifer Project and African Team Ministries, and Episcopal Relief and Development tables. To support the needs of people across the diocese, we regularly bishop in the Diocese of Ohio Bishop’s Appeal. To learn more about the appeal and how to donate, please visit the Bishop’s Appeal website. 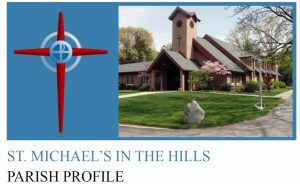 Members of St. Michael’s support Episcopal Relief & Development, a global organization that works with local churches and organizations to provide disaster relief and to empower people to create lasting solutions that fight hunger, poverty, and disease. To learn more and make a donation, vist the Episcopal Relief & Development website.